The UK's cutest and bestest name labels and clothing labels. Choose from 100's of design and colour options. Fast shipping - Great value - Personalise your kids labels now. Books, bags, clothes, lunchboxes: you name it! Name labels are not only great for keeping track of your child's belongings, but they're also a great way of ensuring that your kids come home with the right gear. With our huge collection of premium name labels, you'll be able to label just about anything in sight - with style. With Tinyme name labels you won't have to worry about your labels peeling or fading. Our name labels are designed to be very durable, and they'll hold up against whatever punishment your kids subject them to. 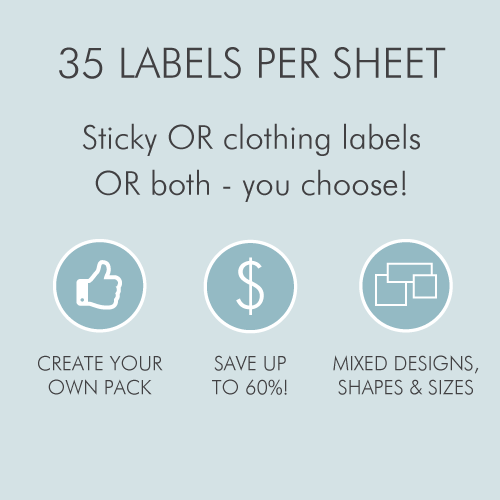 Our adhesive labels stick fast, and our iron-on clothing labels stay exactly where they're meant to. 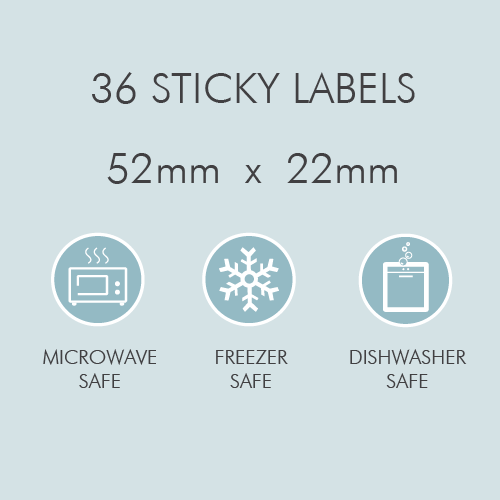 Our vinyl labels are waterproof and scratch-resistant, and they're also microwave-safe, dishwasher-safe and even freezer-safe. What's not to love?! 100s of design and colour options. Conformable vinyl with super sticky adhesive.